Whether catering is already an established part of your restaurant or a new addition, offering your catering customers a rewards program designed just for them is a great way to grow a loyal repeat customer base. Restaurant catering is a $33 billion industry, so it makes sense that casual, fast casual, and quick-service restaurants are making catering loyalty programs a priority. For restaurants that don’t already offer catering, launching a catering program provides a steady flow of sales. It also provides excellent opportunities to reach new audiences and grow awareness of your brand among those who might experience your brand for the first time at a catered event. The average business spends $1,100 per month on catering, with average orders over $200. Thirty percent of catering customers order weekly, and twenty percent of them order multiple times per week. That steady flow of reliable large orders could be a huge boost to your sales. By gaining even one or two new catering customers per week, you can reduce the strain of trying to acquire over twenty individual new guests. Pairing a top-notch experience with a rewards program specifically for your catering customers is a great way to grow loyalty and inspire repeat purchases. Offers for First Time Orders: The first time a catering customer places an order is the first opportunity to make a fantastic first impression. Experts caution against giving discounts in this situation as it devalues your product from the very start of your relationship, but instead suggest providing a small dish for free, for example, a plate of cookies. The margins in catering tend to provide enough cushion where there is room for something like this — and if your cookies are amazing, it could be something that customers choose to add on to future orders. After the First Order: After you deliver a great experience to your first-time customer, why not ask them for their business again while your restaurant is fresh in their memory? Offering a quick turnaround promotion for catering orders placed within a certain time from their initial order could help to get you on a catering customer’s regular rotation. Points per dollar or per order: One idea around catering rewards is to offer a point system based on either dollar amount or order frequency and then to allow customers to cash in their points for different items. A certain number of points could be required to earn a free dessert, or an appetizer. Other catering rewards programs let you redeem points for money off your next order or for gift cards. Taking a critical look at your customer data is necessary to know what type of rewards your restaurant should offer. Rewards for the Order Placer: Often in catering, the person placing the order is doing so on behalf of a business and may not be eating any of the catered meal. Some catering rewards programs allow a small number of points to be redeemed for an individual entrée in addition to any catering rewards as a way to reward the person who places the order and to maintain that relationship. Much like your other guests, it’s important to know as much possible about your catering customers as well. Knowing the order cadence for each guest so that you can accurately target your lapsed catering customers with promotions and incentives is just as important as in any other piece of your marketing campaigns. Repeat Customers: If they aren’t choosing to book you for catering again, you’ve either failed to make that first experience memorable or perhaps your sales team didn’t follow up as well as they should have. Rewards Enrollment: How many of your catering customers are signing up for your catering rewards program? If they are repeat customers but are not enrolled, it may be either a communication problem or a value problem. Make sure that these customers know about the rewards, that you’ve made the enrollment process as easy as possible and that the rewards are things that appeal to them. 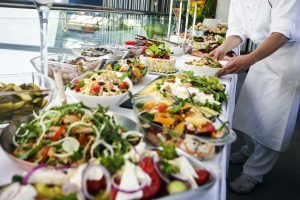 Follow these tips and you can add a catering rewards program to your restaurant that highlights the unique aspects of the catering business and provides a boost to your revenue. 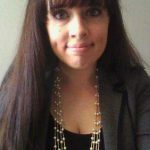 Jess Shelcusky is a content marketing specialist at Paytronix working in the restaurant space. With an MBA from Boston College and a passion for telling stories, she helps produce new content to help businesses take their marketing to the next level.